My general love of a certain map made by someone who is notoriously stuch with a bad rep in most Unreal/UT forums hasn't always reflected back on me so well, but most people manage to see past that. It was in keeping up on this that I foudn I wasn't so alone. The map I loved was MH-Brutes][, made by Kaal. I've made dozens of variants of it with different monsters. Quite a stretch back I found another one, called MH-Brutes][+ which was someone else who edited more than just monsters. 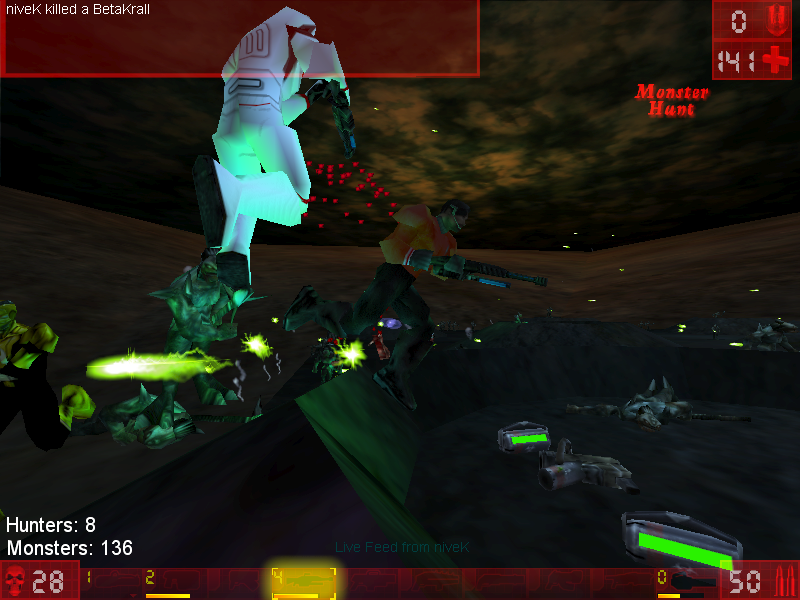 Cyberia-Mix changed the skybox, and the entire environment of the map. It was really cool and I wanted to edit that one too, but hadn't until just the other day. ...and for bosses I tossed in a few ElectricKrall. 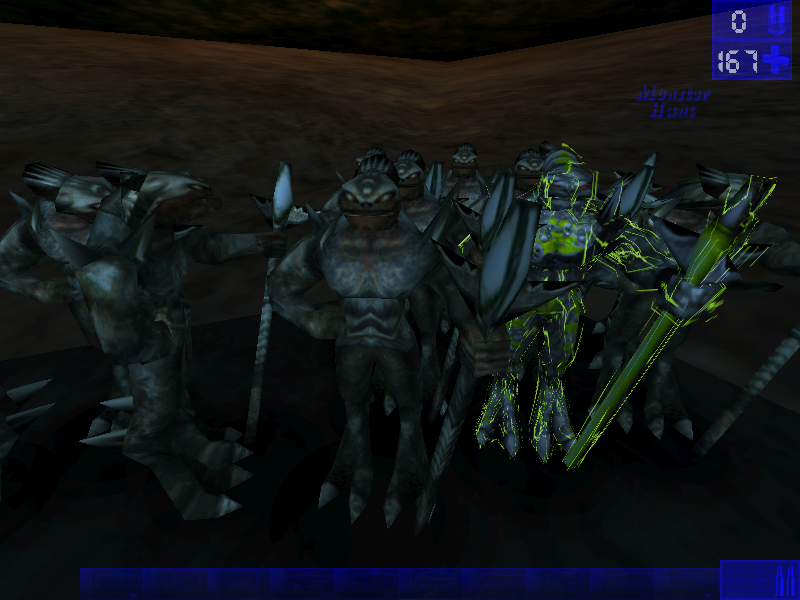 In Unreal evolution terms, the BetaKrall is what the current Krall came from. I think it actually moves a little differently, has some unique animation to it. That could just be me. I had fun editing this map, and playing it. Hope you enjoy it as much as I did.